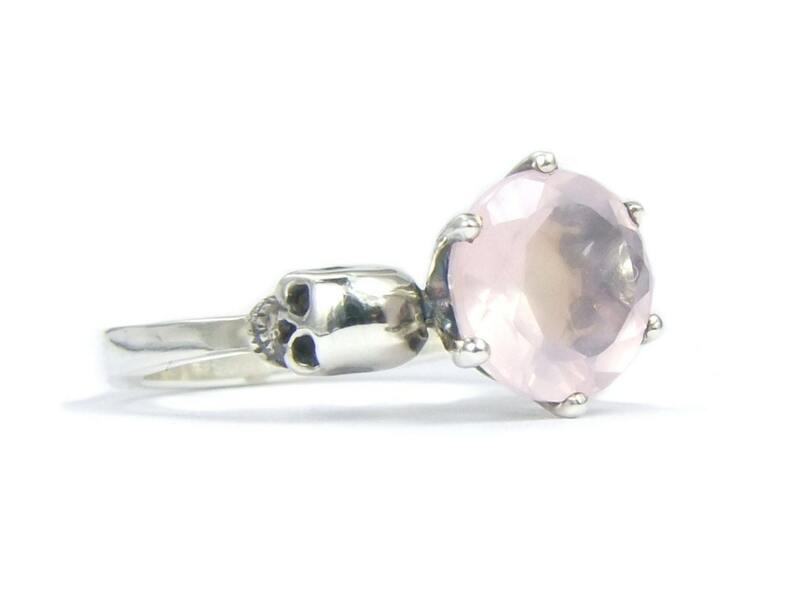 Pink rose quartz and sterling silver skulls paired up for your perfect rock and roll engagement. 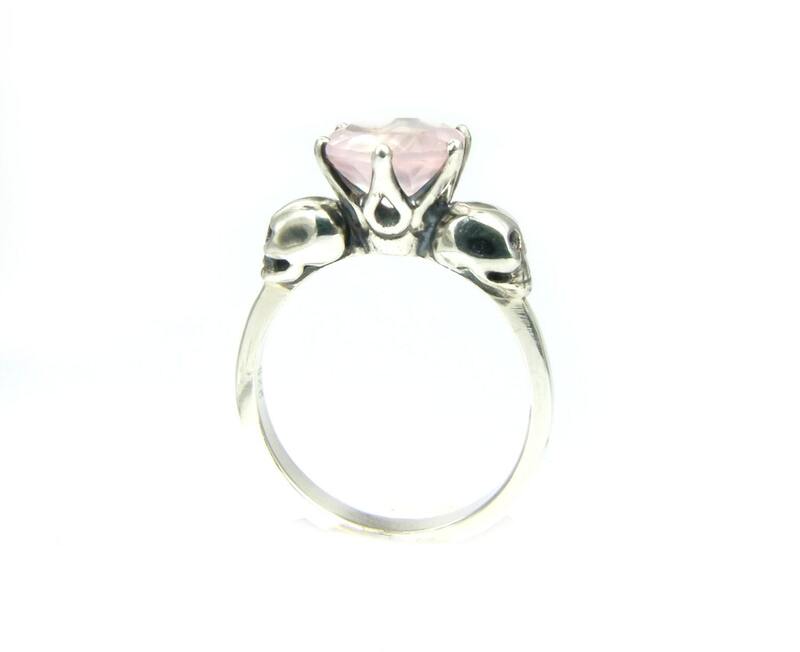 The stone is all natural and untreated rose quartz with a diameter of 8mm and 2ct weight. Left and right sit two little skulls, which are carved by hand and show the most vivid and natural expression. 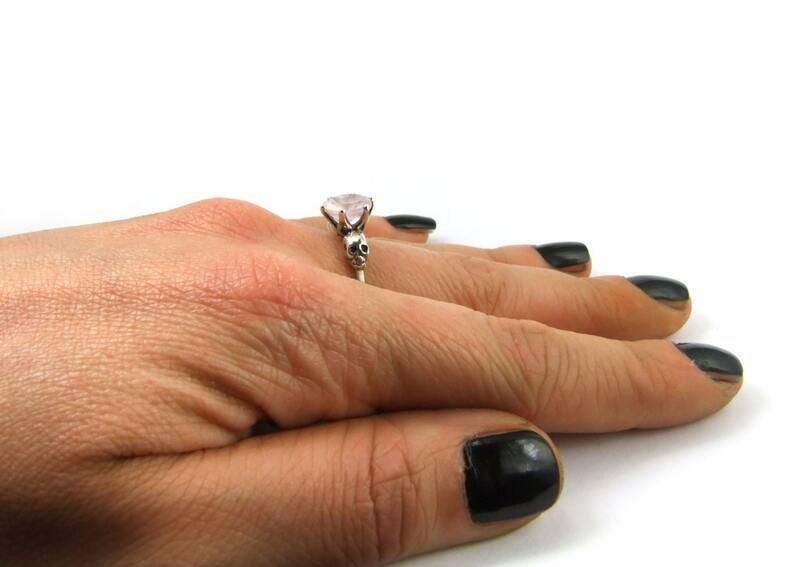 All cavities of the ring are blackened. One skull is ca. 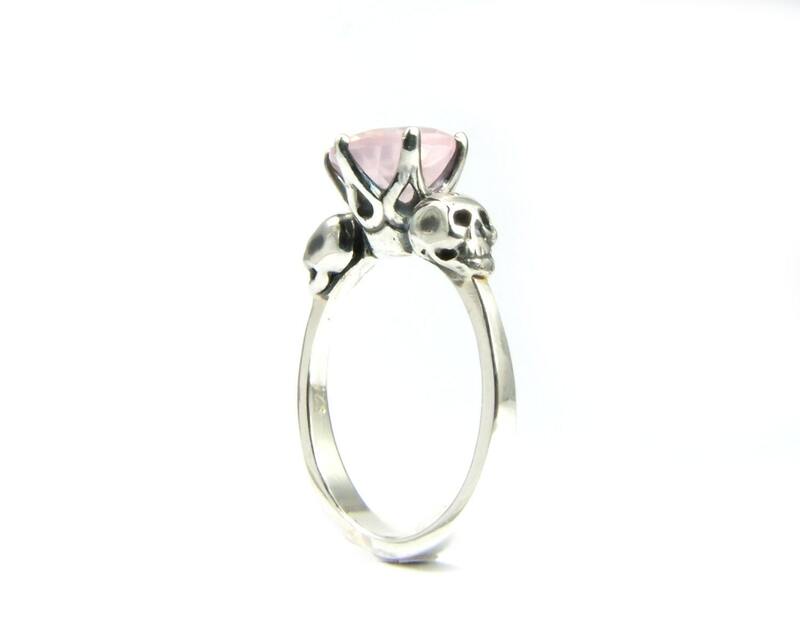 4.5x5mm, the ring is between 1mm (under the skulls) and 2mm wide. That makes it very easy and comfortable to wear. 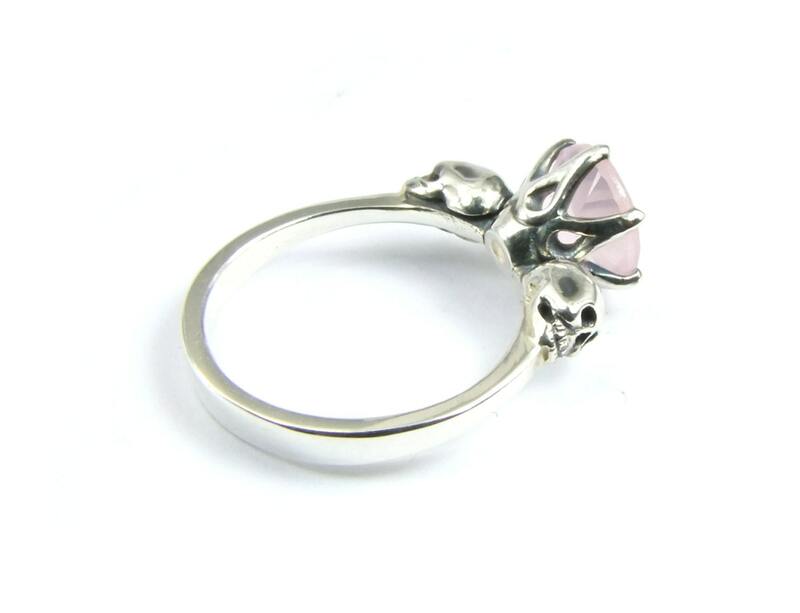 If you need the ring by a specific date please leave me a note with your order. I will see what i can do for you. Processing time is 3-4 weeks, expedited shipping has no influence on processing time.